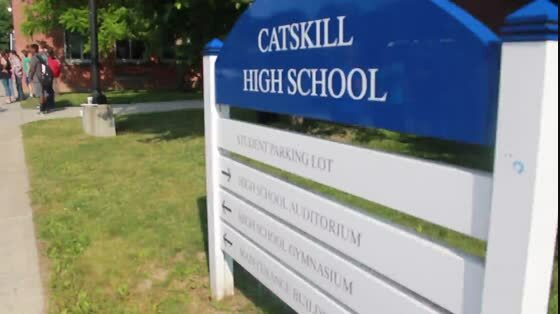 Stefanie Loomis of the Catskill Central School District and Brynda Shutes of the Greenville School District were New York State Master Teachers in the Class of 2017 which included 214 educators state-wide. New York State began the Master Teacher Program in 2013, which has named 908 recipients to date. Master teachers teach science, technology, engineering and math courses including advanced placement, honors, Regents and International Baccalaureate levels, according to a state news release, and have been teaching an average of 13 years. While the population of Greene County makes up 0.2% of New York State, Our High School STEM Educators represent nearly 1% of New York State Master Teachers. Many of the teachers developed interdisciplinary STEM courses in their districts and use resources in their local communities to encourage more students to pursue STEM studies and careers. All the teachers are active beyond their classrooms, serving as curriculum department leaders or on district committees, officials said. They are also sponsors of STEM clubs, Science Olympiad competitions and robotics teams, and school community service organizations as well as coaches, school gardeners, and PTA members. The New York State Master Teacher program is an essential element to building a ready-to-work education infrastructure in the critical thinking areas of Science, Technology, Engineering, and Math (STEM). The 21st-century demands of a modern workforce make early exposure to STEM critical to workforce development. Greene County is exceptionally proud of the dedication and passion displayed by our New York State Master Teachers both in and out of the classroom.